Whether you want to try a new color trend or stick to your current shade,	we can make your hair color pop! 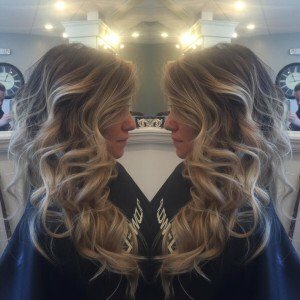 At our hair color salon in Manchester, NH, we have expert stylists that	can give your hair that “wow!” factor. Whether you need a	root touch up or you want to try a fun new color, we can help you achieve	the look you desire. 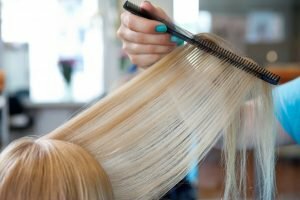 While some hair coloring salons like to keep it traditional,	we are up to date on all of the trends, such as balayage, ombre, sombre,	hair painting, and high fashion colors . . Whether you’re looking	for a permanent or semi-permanent color, or you just want to add a few	highlights, come experience excellent service while you relax at Elavina	Salon and Spa. Balayage is a French hair coloring technique. The color is applied freehand in	a sweeping motion for a more natural effect. Ombré is a French word that means shaded. It is the gradual blending of one	color hue to another. This look is darker at the root area through mid	shaft and it gets lighter down to the ends. Sombre –A softer natural version of the Ombre.